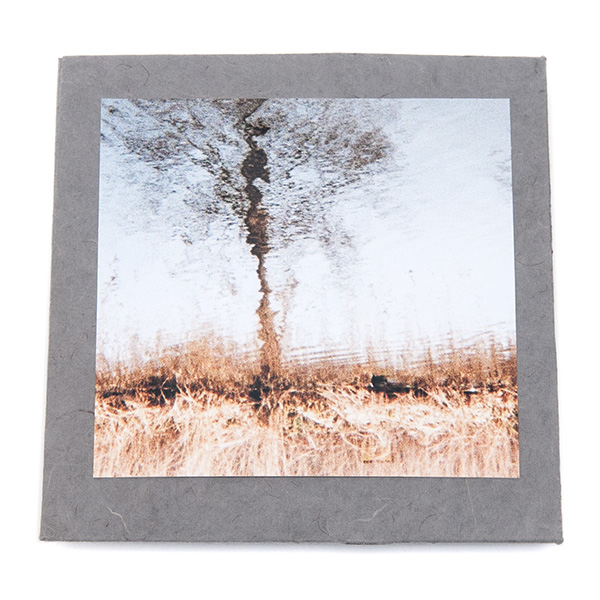 'Kleinpolderplein' is a limited, handmade, new broeder Dieleman release. The cover photo is made by broeder Dieleman himself, every release is unique! Motel Mozaique Festival asked broeder Dieleman to create a landscape project about the Kleinpolderplein at their last edition; a public square which was once a polder, but is actually a busy traffic junction nowadays. The project (a collaboration between the Observatorium and CBK Rotterdam) covers a quest for what has past, what is now and yet to come at the public square in Rotterdam. This has resulted in two performances/presentations at Motel Mozaique, April 8 and 9 2016. The search for stories, sounds and the fiber of the city has become a fifteen minute long collage, underscored by drones and field recordings, which tell the story of Rotterdam; a city of reed. Kleinpolderplein is a music piece, accompanied by photographs and a poem. The edition is handnumbered and handmade by broeder Dieleman, and includes a photograh made by himself. Every single one is unique, and there is are just 100 of them.